Being a scientist out in the field can be hard work, with long days in sometimes uncomfortable (or even dangerous) settings collecting data. But it does come with the opportunity for some unbelievable photos. From one pole to the other, NIWA scientists work in some of the world’s most extraordinary landscapes. On any given day you might find a NIWA staff member under the ocean, on the ice, atop a mountain or deep in a lake or river. These stunning environments, which form the backdrop for the vast array of environmental science undertaken by NIWA, are celebrated each year in an annual photographic competition for staff. The competition is unique for the diversity of images which this year includes everything from the vastness of the Arctic to the minute stony-cased caddisfly. The winner of this year’s award was specialist diver Crispin Middleton, with his photo entitled Underwater Angel, taken near the Poor Knights Islands. Mr Middleton has been trying to capture photos of flying fish for years, but every time he tried they would simply dart away. This year he managed to get his shot by hovering above the fish where they would linger for a few seconds before darting away. 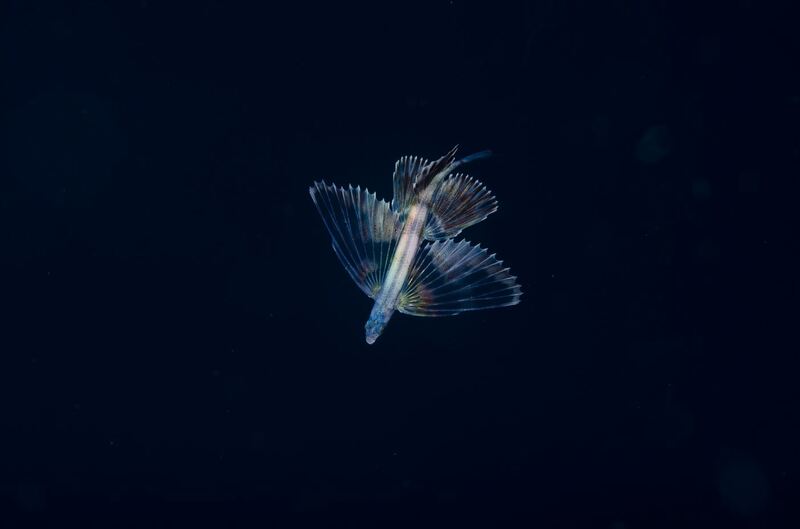 The judges – photography professionals Ross Giblin of Fairfax Media, Gerry le Roux from Science Lens – described the flying fish as looking like a piece of jewellery set against a dramatic black background.